During the final years of his life, Gaspar Romero devoted almost all his energy to promoting the memory of his saintly brother. 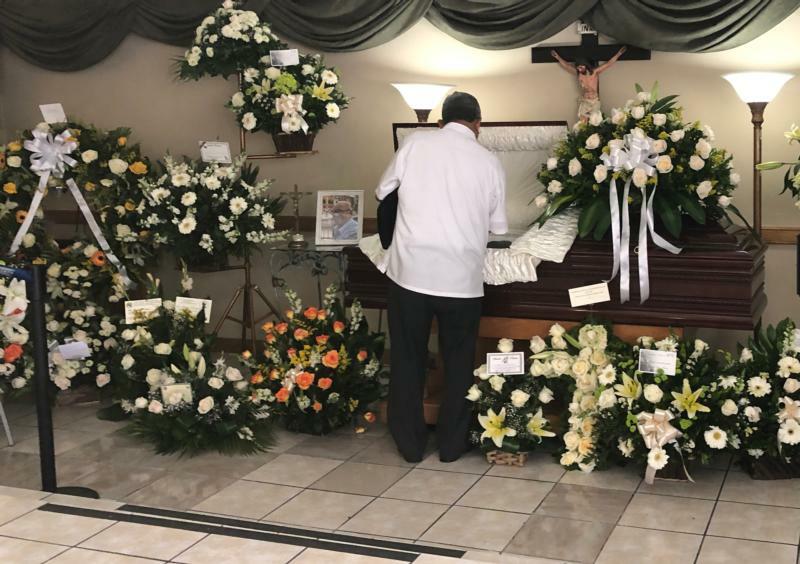 It was not unusual to see him at commemorations in the crypt of the San Salvador cathedral, where his brother's remains are buried, or as a guest at celebrations by Salvadoran communities abroad or in remote hamlets in El Salvador -- especially his hometown, Ciudad Barrios. He was a beloved presence in those communities for his mild manners, friendliness and humility. During that first interview, and in a visit three years later, when Don Gaspar took me to visit his hometown -- including to see the house where he and his brother grew up -- he opened a wide window to the saint's younger years. But he also allowed me to understand the martyrdom that the family underwent in the turbulent years when his brother was at the helm of El Salvador's premier see, and of course in the wake of his tragic murder. Gaspar accompanied the young priest to his first parish assignment in a remote Salvadoran village called Anamoros. At this place, which was completely disconnected from the world, the two brothers had to bathe and drink water from a river that ran through it. Submerged in the icy current at dawn, the younger brother confessed to the new pastor, "I don't much like it here." The young priest admitted, "Me either." But when Gaspar suggested that Father Romero ask to be moved to another parish, he responded that he had to obey, that he would stay there until the bishop ordered otherwise, and that he accepted and recognized his place and would give his total commitment to the endeavor. Gaspar told me that the same obedience to his superiors -- the famous "thinking with the church" -- would be evident when St. Romero was named archbishop of San Salvador in 1977. At the time, the new archbishop revealed to his brother that he sensed that his new mission would entail "a great sacrifice." He had already been auxiliary bishop in San Salvador in the early '70s and had butted heads with the young urban clergy in the city. He preferred the tranquility of his countryside diocese, Santiago de Maria, which he told Gaspar had been the happiest years of his ecclesial career. However, the future martyr did not know the concept of seeking to get his way: "I must obey," he told his brother. Gaspar used the words "the painful matter" to refer to the assassination, and he wept repeatedly discussing it. Eternal rest grant unto him O Lord and let your perpetual light shine upon the late Senhor Santos Gaspar Romero Galdamez.